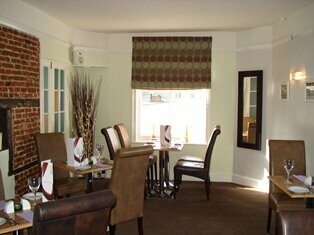 The Bull Hotel and Restaurant is a family run Hotel based in the centre of the English Market Town of Woodbridge. 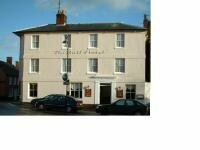 The Hotel overlooks the lovely Tudor Shire Hall and Market Hill. A former 16th century coaching Inn, The Bull is situated in the centre of the town, standing on the site of an ancient hostelry of the same name. 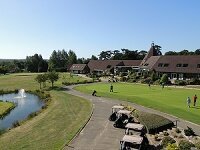 The Bull has kept it's traditional charm, but with all modern facilities including a cafe bar, restaurant, and sports bar and has wireless broadband access points throughout the hotel - for those who can't escape work altogether! Our chefs are on hand to tempt you with a delicious seasonal menu or, if you prefer, a selection of light bites to go with your choice of wines and ales in the Savoia cafe bar. All rooms have tea and coffee making facilities, flat screen televisions, hairdryers, irons & ironing boards, and are enabled for wireless broadband. The majority of bedrooms are arranged over two floors. Due to the age and layout of the building, some guests may find the stairs to the second floor difficult to encounter. Please advise us if this is the case when booking and we will do our best to accommodate you on the ground or first floor. Check our website above now for great Room Rates! Our restaurant offers a cosmopolitan menu featuring a variety of fish, meat and vegetarian dishes, served in relaxed surroundings. And don't forget to check out our very special Sunday Lunch prices! Savoia offers comfortable seating and contemporary design, and is popular with both residents and locals. 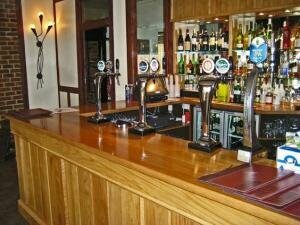 Why not try one of our wonderful cocktails? Choose your favourite dish from the menu, compliment it with a glass of wine or perhaps champagne, then round off the experience with a liquour and coffee. We now sell most wines and champagne by the glass as well as the bottle. A delicious range of teas and coffees are available throughout the day, as well as thick Italian hot chocolate and a mouth-watering selection of light bites. Savour the cafe bar experience . . . at Savoia. 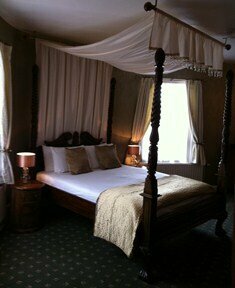 We look forward to welcoming you to the Bull Hotel. Heather, Paul and the staff.